I'm posting a link to Tim Leighton-Boyce's recent post on the Inside GOV.UK blog. 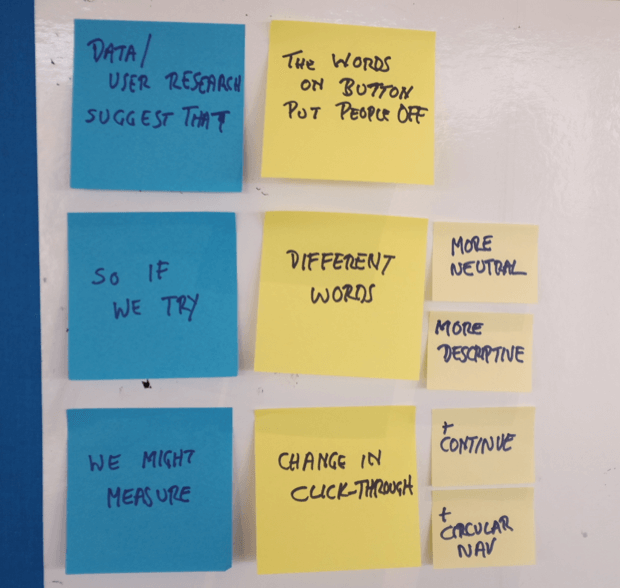 It's an excellent example of engaging the whole agile team with data, and working closely with user researchers to validate that behaviours observed in usability testing are demonstrated at scale. Please read the detail at A/Bsolutely fabulous testing. Peter Jordan is Head of Performance and Data Analysis at GDS. Thanks for posting the link Peter!